Here is my next installment in my Blogging A to Z series for 2019. “F” is for family and faith. Family plays an important role in my life. 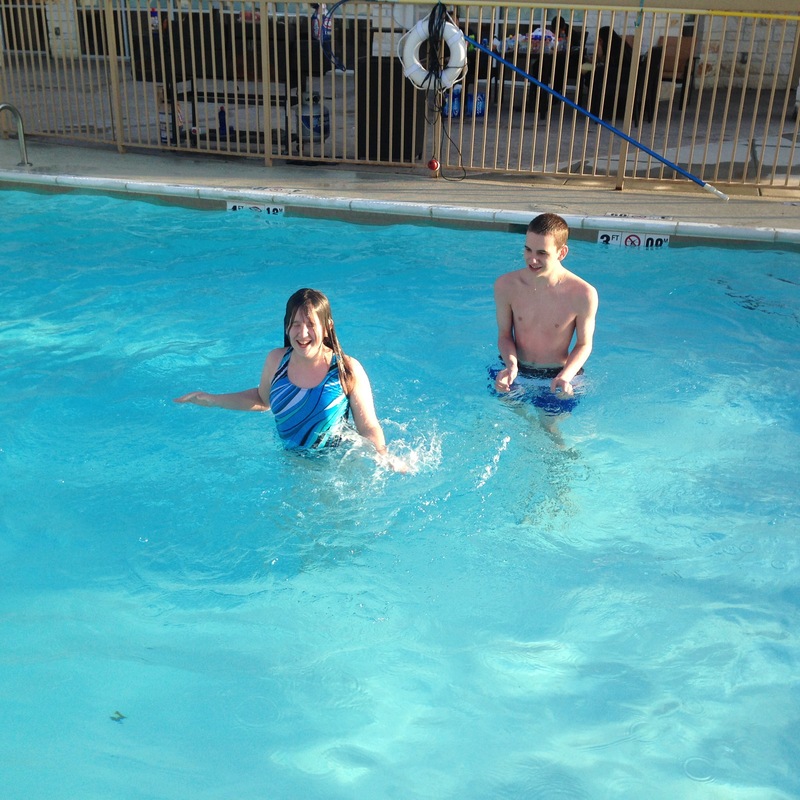 My husband and children bring untold blessings, laughter and more to my life. They provide a lot of joy and distractions in my life. They instigate a lot of mischief and more in our home. Truly, they bring so much excitement and intensity to our lives. Here are some of my favorite Scriptures about Faith. This first verse from Hebrews is one my husband frequently uses when he is preaching. Through the years, it has become one of my favorite verses. This verse from Romans reminds us that faith rather than the law is what gives us our salvation. Another verse is found in Romans. Truly, peace is something worth desiring and striving to obtain. Here is another verse from Romans my husband frequently uses when preaching. I love the words of this passage. Finally, this verse from Ephesians is another of my favorite passages, because my husband has frequently used it in his sermons. This passage reminds us that our salvation is a gift from God rather than something we can earn by any good works we might do. So what comes to your mind when you see the letter “F”. I would love to hear from you. 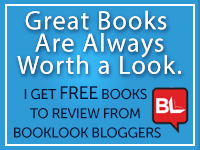 If you would like to read my other posts from this series, click here. 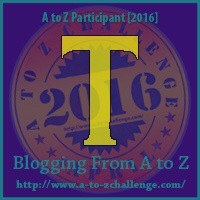 So here is another post for #BloggingAtoZ challenge for April 2016, and today’s letter is T. For me, “t” is for Texas, thrills and thankfulness. First, it is for Texas since we just made Texas our home for the next few years thanks to the Army Reserves transferring us here. “T” is also for thrills. Most years for our anniversary, we take the entire family and go to Fort Eustis to stay in a cabin and get some thrills visiting Busch Gardens. 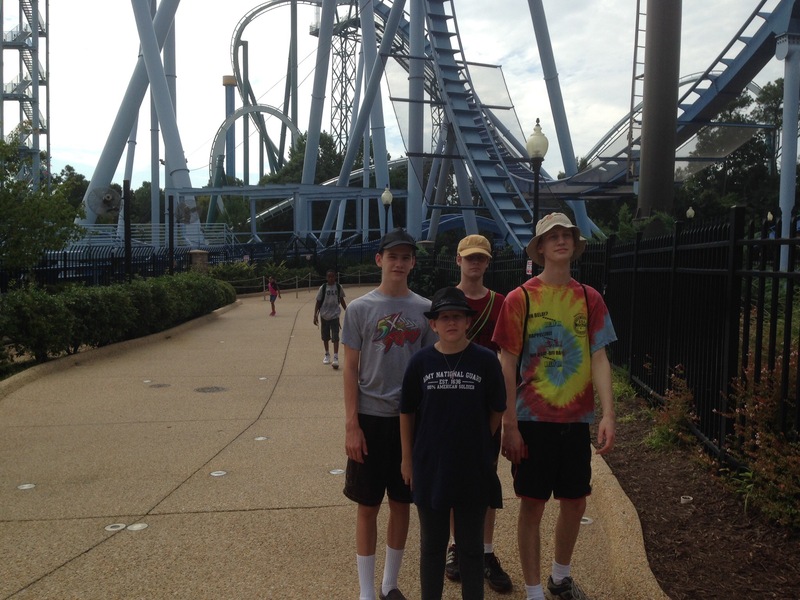 My children have followed in my footsteps with a love of roller-coasters, which of course provide a lot of thrills. 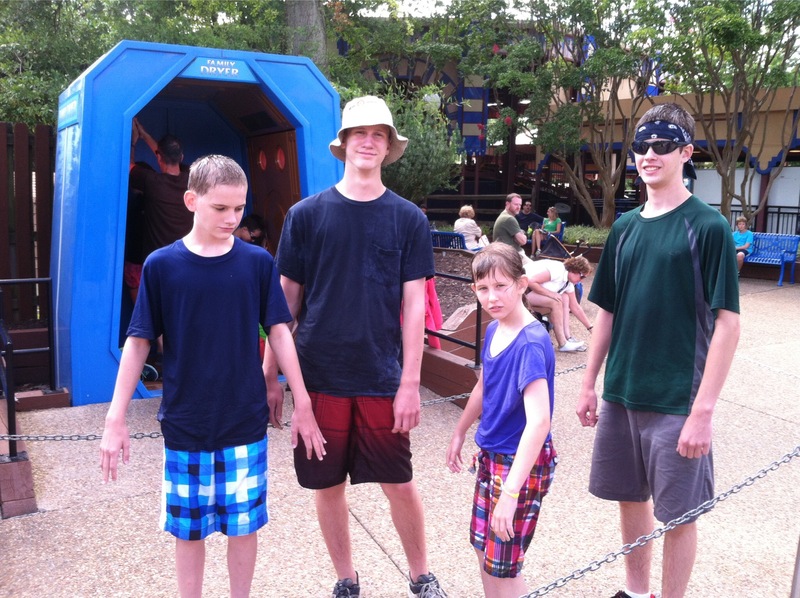 Water rides provide a different type of thrill – the thrill of getting cooled off on a hot day and they having to figure out how to dry off. Finally, t is for thankfulness. 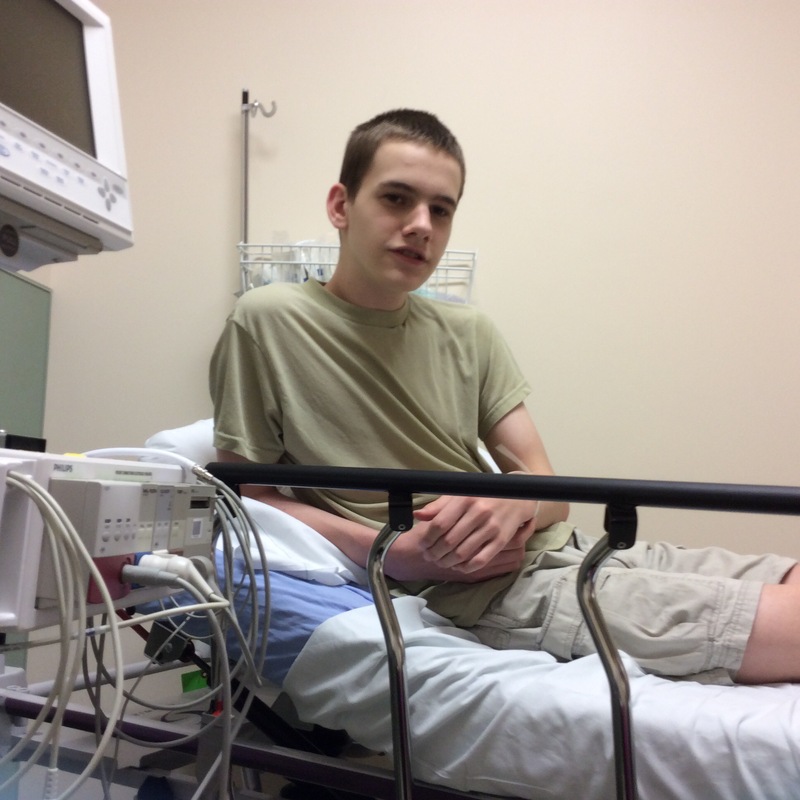 One example, is being thankful our son was fixed up quickly and did not find the entire procedure too horrible when we had to go to the hospital shortly after moving to Texas. Here is a picture of him in the Emergency Room. We are told in the Bible to be thankful, such as in the book of Ephesians 5:20. 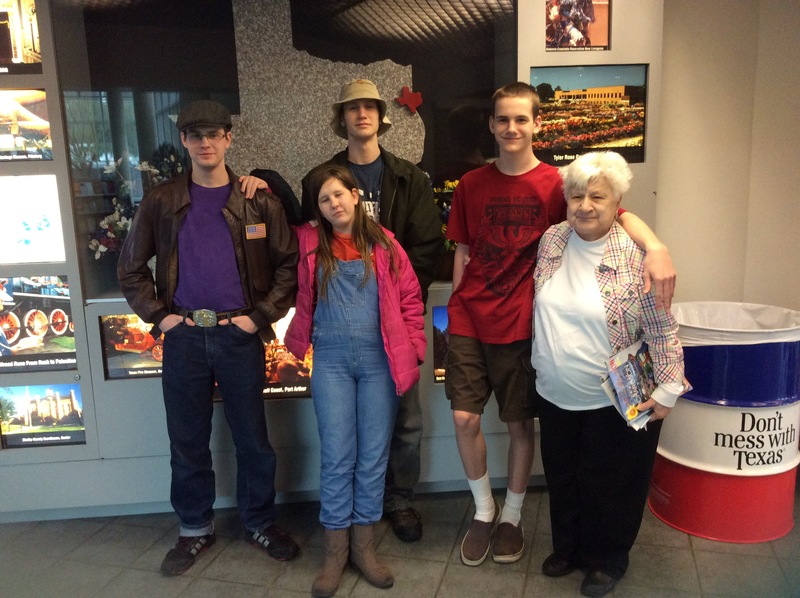 So I want to choose to be thankful today for what I have, including my family. So what comes to mind for you when you see the letter “t”? I would love to hear from you. 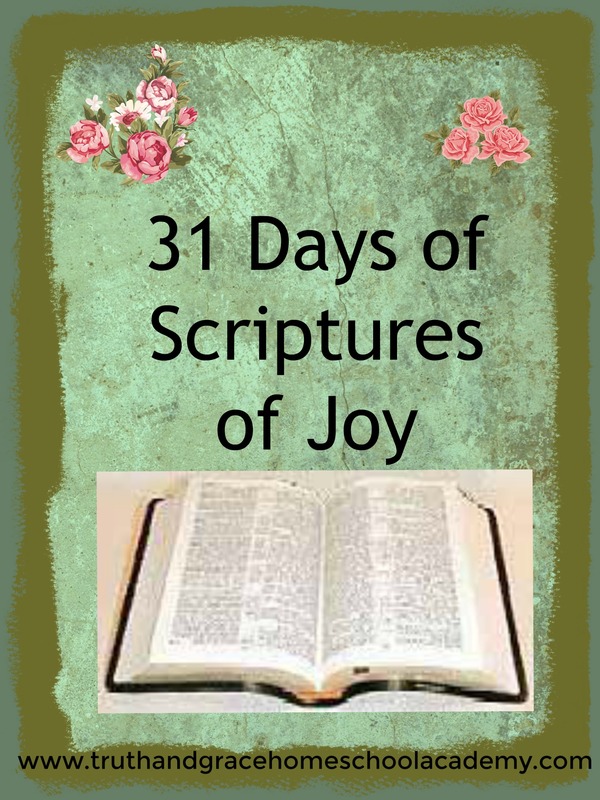 Today is day 22 of our family’s Scriptures of Thanksgiving activity. Today we are in the book of Ephesians. We are reading Ephesians 5:15-20 and copying verse 20. Today is day 18 of the #31DaystoWrite challenge, the October challenge for NaBloPoMo and the Ultimate Blog challenge, which I am participating in this month. Today I want to continue my #ScripturesofFatih challenge with another Scripture. 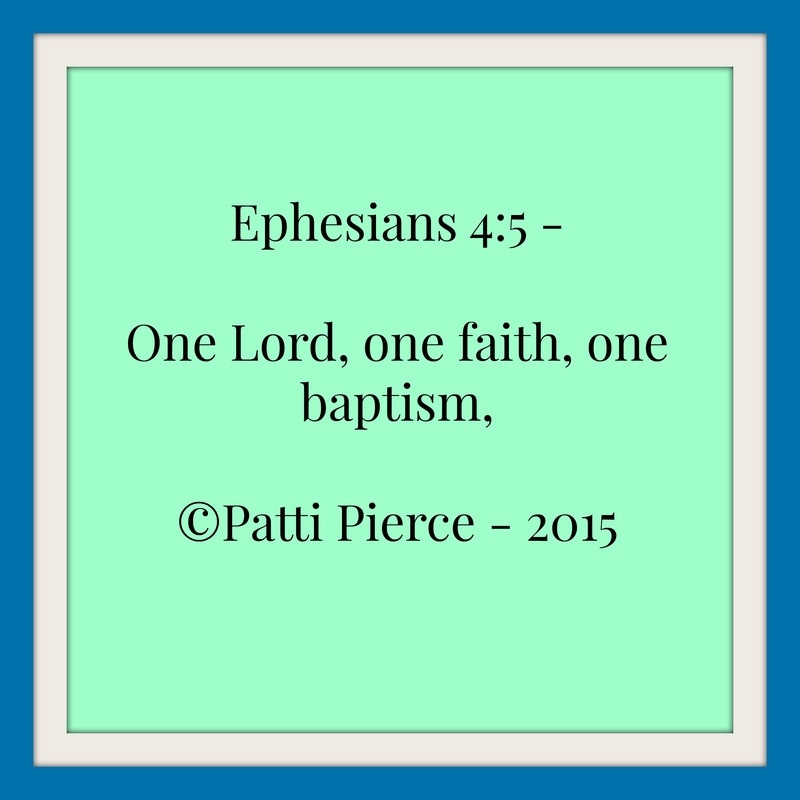 Today’s verse is Ephesians 4:5 – and says “One Lord, one Faith, one Baptism”. 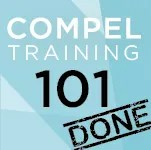 There are not multiple ways to come to God. There is only one way and that is through our Lord and Savior Jesus Christ. We can not earn our way into Heaven. We can not do enough “good deeds” to earn salvation. We simply receive Salvation by repenting of our sins and accepting Jesus Christ as our personal Lord and Savior. When written out, it sounds so easy to just utter the words, “accept Jesus Christ as your personal Lord and Savior”. God requires us to repent and have faith. But faith takes effort. It takes trusting in someone we can not see personally. Trust does not necessarily come easy – especially if someone has hurt us in the past. So do you find it easy to trust and have faith? i would love to hear from you. 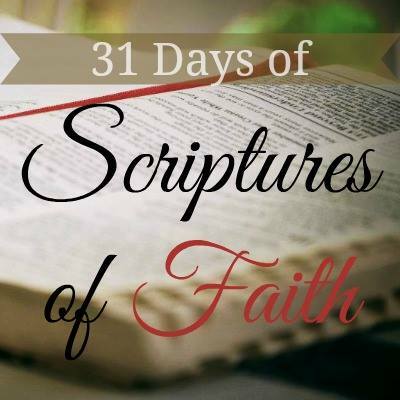 Today is the 12th day of my series – Scriptures of Faith. Today I want to look at Ephesians 3:17. 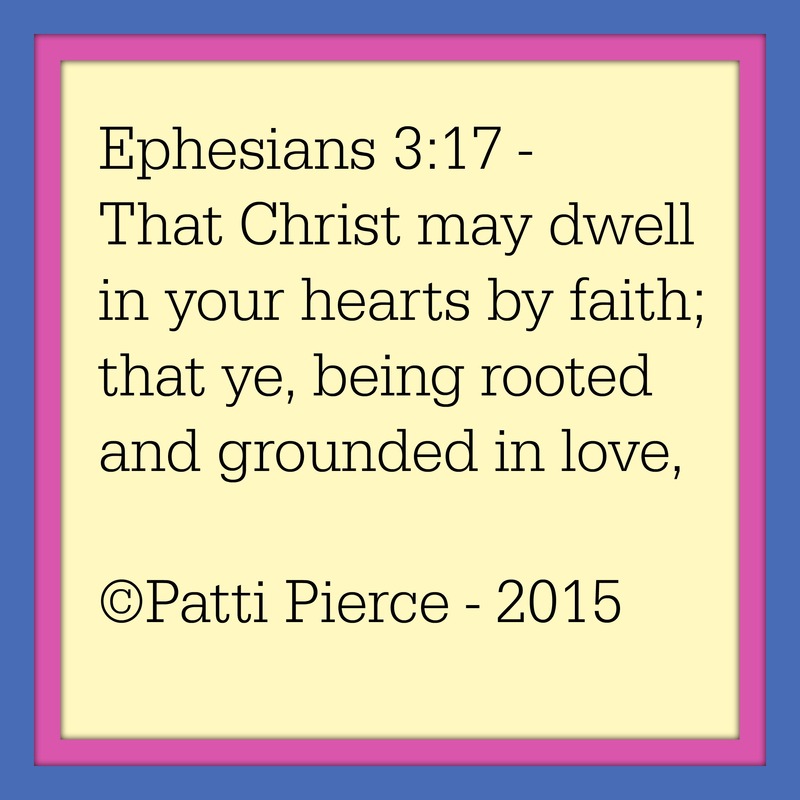 This verse tells us that we must allow Christ to dwell in us – so we must allow Him to become part of us. We do this by having faith in Him and in His Word. We have to have a firm foundation built on love. This means we have to not only love those we call our brothers and sisters in Jesus Christ, but also those we may consider our “enemies”. I must confess I don’t always find this easy to do. Sometimes, It is definitely a challenge. So what is going on in your corner of the world today? I would love to hear from you. This verse is another verse that my husband, an ordained Primitive Baptist preacher, frequently preaches from and I have heard spoken. 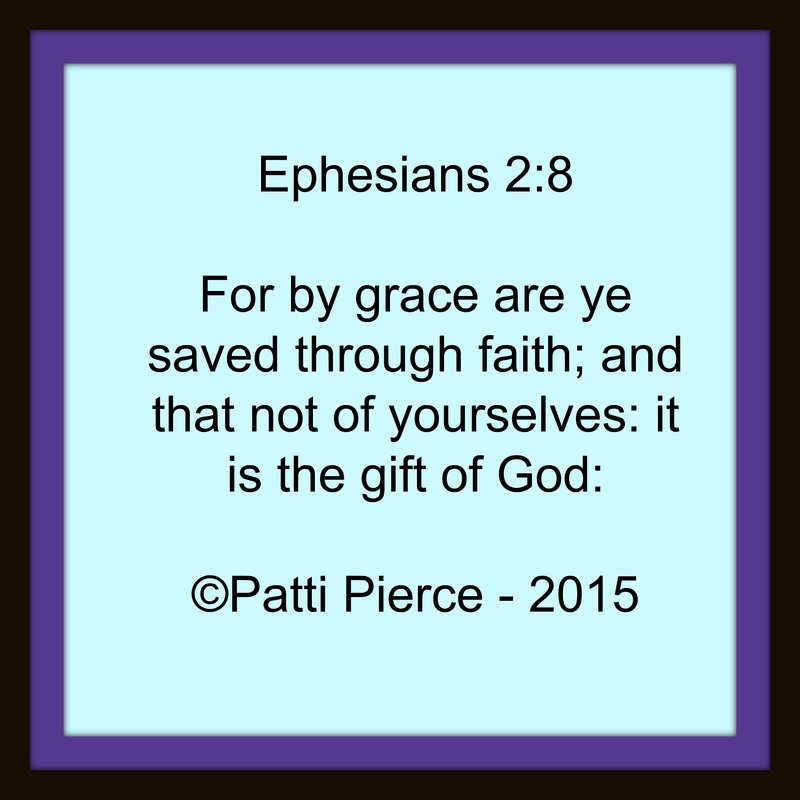 We are saved by faith through grace. There is nothing we can do to receive salvation, especially in the forms of works. We can not “earn” our way into heaven by either being “good enough” or by the works we do. The only way we receive salvation is through a merciful and loving God that was willing to send His Son to die on the Cross for our sins. It is truly a gift. We need to embrace that gift and strive to be Christ-like in all we do. There are times I find myself being anything but Christ-like, but I eventually am brought to my knees to pray for mercy and grace. Because I have faith in the salvation granted by our Lord and Savior Jesus Christ, I know by asking for forgiveness, I receive it. I am so glad that the God I serve is not one who writes down every wrong I have ever done. My God does not throw back in my face all my mistakes and bad choices. Instead, He is a God that forgives and forgets. Oh that I could be that way. I die to self daily and recognize I need to aim to be more Christ-like. So how are things where you are? I would love to hear from you.